Remember the movie Sliding Doors? It’s a story of two parallel lives — one in which the heroine catches a particular train home from work, and one in which she misses that train and catches the next one. That insignificant event goes on to change everything about her life — and even the time of her death. In real life, we don’t have screenwriters to create parallel universes for us. But I think most of us have had a time when a “small hinge swung a big door.” When a small decision or action ended up leading to a completely new set of possibilities. This week, I thought it would be fun to share three of those stories with you from our team. The first ebook I wrote gave me a lot of momentum in ways I didn’t anticipate when I started writing it. By committing to publishing that ebook, I gained experience that improved the production process for my next ebook. Plus, I learned how to help clients who wanted to do the same thing but didn’t know how. If you can let go of expectations and focus on doing your best work, you’re headed in the right direction. Find out more about how I wrote that ebook here: A Simple Plan for Managing and Completing a Content Project. When I first started my motorcycle blog, I published haphazardly. But I knew that if I wanted the blog to survive its early years, I needed to establish a rhythm. The decision seemed so obvious and easy that I don’t even remember the precise moment when I made it. But the proof is there: I’ve published twice a month consistently since January 2016, only missing one deadline. This small step has proven to be the best thing I could have done for this blog. For one thing, it was a completely manageable goal. By only requiring two posts a month, I protected myself from burnout, and gave myself time to write the kind of in-depth, quality content that I would want to read. But also, my small decision created a habit of constancy. My deadlines are no longer negotiable. If I know I’m going to have a busy month, I plan ahead. The only deadline I’ve missed was right before my move from Texas to Oregon in 2016, and I learned my lesson. Last year, I didn’t miss a single month. This kind of consistency has been useful for me; it’s kept me going. But it’s also been good for my readers; they know that even though my blog is relatively new, I’m not going anywhere. Now, I have more than 50 in-depth articles on the RIDEWELL blog, and I have the inspiration and ideas for 50 more, all thanks to that small decision I made two years ago. I was working a corporate job that didn’t suit me particularly well. I had been publishing my own blog, which had a small (but very kind) readership. 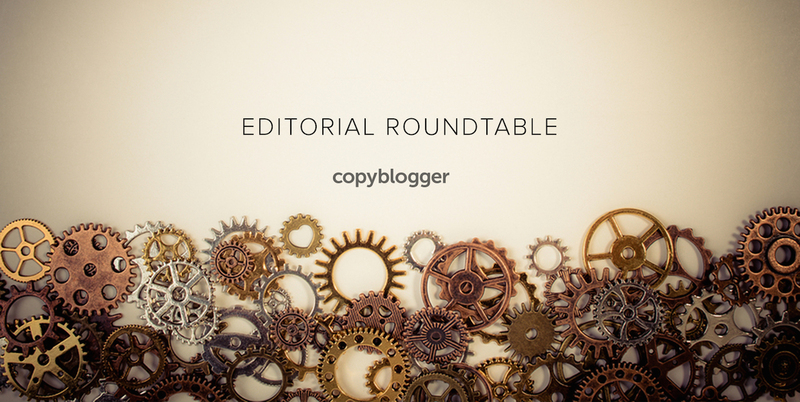 I read two blogs religiously: Seth’s Blog and Copyblogger. That was back in the day when Copyblogger was a one-person show. Brian was writing two posts a week. If I know Brian, he was about to gnaw his own arm off from wanting the freedom to work on other things. But that was before I knew Brian well enough to make that guess. I had wanted to write for Copyblogger for a long time. I thought I had a pretty solid handle on their topics and audience. Because I commented regularly (thinking carefully about what I wanted to say, and making every effort to add to the conversation), Brian knew my name and had even commented on one or two posts on my blog. Then I tentatively reached out on Twitter, and asked Brian if maybe someday if he was totally desperate or sick or something maybe I could write a post for him. Maybe. Reader, I said Hell, yes. Since those days, I started a small company, then merged that company into the entity that was Copyblogger Media, then along with our partners reworked Copyblogger Media to Rainmaker Digital. Over the years I’ve tried to offer my best contributions, through more business twists and turns than I can count. I lucked out on the timing. I was in the right place at the right time. But I had also done a lot of ground work. I then showed up nearly every week for nine years. Every week, bringing the best game I knew how. Do the thing you’re nervous about. Even if you don’t feel totally ready. Even if impostor syndrome is punching you in the face. Give it a shot. Otherwise, you’ll never know what doors your single action might have opened. I like the analogy of a small hinge swung a big door. Amazing stories to inspire the power of little steps. Thank you for sharing your inspirations every week without fail. I so much believe in small efforts. One of my favorite blog posts on my blog is about small efforts. Sometimes we overthink, and things start to look overwhelming. For example, if you hadn’t tweeted Brian, things would have been different. I especially liked the narrative of this blog post. It makes us realize that step up and try. I liked it. Wow, this post is some kind of synchronicity with Seth’s blog post: Beginning is underrated. I’ve read them both on the same day. So, this week I’m going to start doing some of the things that make me nervous. To put a comment on copyblogger is one of those things. Great blog post. Kind of reminds me of the adage; “it is the little drops that make the mighty ocean.” and “never despise humble beginnings”. Sometimes, we tend to try to plan everything in our head before taking action. However, that would only lead to paralysis by analysis.